More than a century of golf excellence. The Valley Country Club is nestled in the pristine valley of the Sugarloaf area and boasts a beautiful view of the surrounding mountains and the natural ambiance of the valley terrain. 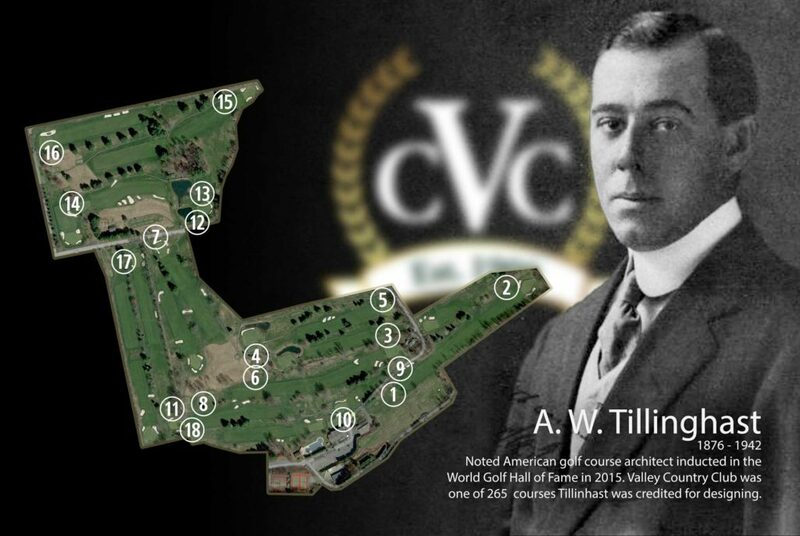 As proud as we are of our Tillinghast designed championship golf course, we are equally proud of our Clubhouse, driving range, tennis courts, swimming pool, ice rink and our outstanding dining facilities. We have long been recognized as one of the finest Clubs in Northeastern Pennsylvania and not only is it a nice place to be, it’s a wonderful place to belong. As you might expect golf activities are a high priority, but there are other activities as well, including tennis, swimming and ice skating. Of course there is the Valley clubhouse, which is the scene of fine dining, numerous club parties and many other social events throughout the year. It is an atmosphere that welcomes family activities as well as business functions. You may have visited our Club on previous occasions, but never really thought about becoming a member. Now is the time to do just that. The Valley welcomes new members, and at this particular time we have openings in our golf, tennis, and social membership. Please contact Brian Albertazzi or Taunya Baranousky, for further information. We hope that this can be the perfect opportunity to establish a beautiful friendship.